Cirkle said the activity will focus on 'elevating brand awareness', showcasing the company’s services, and covering key areas including accessories, grooming, training, nutrition and vet services. The brief also includes CSR. Cirkle won the account following a competitive pitch. Havas PR has held the brief for several years. Its sister agency, Maitland/AMO, continues to handle financial PR for Pets at Home. The firm operates 451 stores and 475 vet practices across the UK, with annual revenue of £899m. Cirkle MD Ruth Kieran said: "Our team own over 40 furry friends and, like the 47 per cent of UK consumers who also own an animal, we’re passionate about our pets. As such, we couldn’t be more delighted to be chosen to represent this brilliant brand, both personally and professionally. 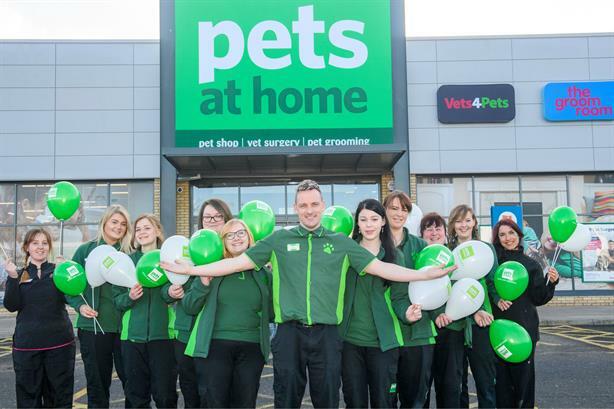 We’ll be working with the Pets at Home team to bring to life their unique pet care offer, ensuring the business remains ahead of the pack in this highly competitive sector." Pets at Home will sit under Cirkle’s Retail Division, which also includes Morrisons and Thorntons.